My name is Jason, I'm 33 years old, and this has happened to me many, many times, always just BEFORE I fall asleep, ever since I was probably 18. I can be lying down in any position and I can feel my body just fall limp. My breath slows down and, when it first happened, I felt like I was suffocating. I tried to take a deep breath but my lungs didn't respond and I started to panic. I couldn't sit up, in fact, I couldn't even move. I can still hear everything going on around me. I also fall asleep with my eyes partially open sometimes, and I can see everything going on around me but I can't move my eyes. I can feel the tears running down my cheek, knowing I can't stop it unless I can startle myself enough to wake up my body. The only thing I CAN do, is get either one of my feet to move at the ankle. If I shake my foot hard enough, I can now wake up my wife, who knows what that means, and shakes me till I am ok.
Over the years I have been able to sometimes force my exhale out harder to make a slight noise. If my wife is not in bed with me and it happens, I am in some trouble. I can get my feet moving, sometimes both feet going enough to shake my entire body, yet I sometimes can't wake up. I feel like I am dying in my sleep, but I'm forced to be mentally awake, almost as some type of punishment. Once, I tried to accept that I couldn't wake up from it and just go to sleep... yah right! Didn't work. I still panic when it happens. When I do finally wake up, if I try to lay back down immediately, it will happen again. I have had this happen 3-4 times in a row before I figured out I have to get out of bed, and walk around, get a drink or do something for a few minutes. To this day, I suffer from this condition 2-3 times a month with no medication, and it frightens me every time. Thanks for giving a perfect, textbook description of sleep paralysis. And a great description of how to use your bed partner to wake you up from an episode. 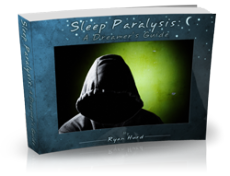 Ryan Hurd talks about that as well as one of the techniques he uses to help gain some control over his sleep paralysis. Perhaps the only thing that is not the usual for sleep paralysis is that you get it at the start of sleep. It is most common to experience when you wake up. 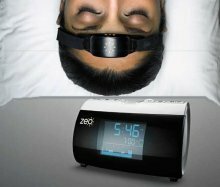 Sometimes experiencing it only at the start of sleep can be a symptom of a more serious problem like narcolepsy, but it doesn't sound like that's the case for you given just what's here in your description. I'm so glad that I'm not the only one! I have this very often, and it always happens at the beginning of my sleep especially when I'm really tired. It's almost as if I wake up mentally and realize that I can't move, speak or a lot of times breathe. The only thing that has worked for me is to frantically wiggle my toes or foot or squeeze my hand to make a fist. It is so scary and when I do wake up, I'm panicked! I always worry about going back to sleep right after bc it happens again. So sorry you guys are having this happen to you! Is there anything you can do to avoid this happening? Im 29 and this started happening to me maybe 2 years ago. It is terrifying. It feels like suffocating. I have tried to be mindful of the position I fall asleep in just incase it happens again but it truly doesn't matter. I have slept propped up on 3 pillows and its still as scary as if I had fallen asleep on my stomach. I felt crazy and did not know how to explain to my fiance that I often feel like im dying in my sleep. Its a minor relief knowing that I'm not alone but going to sleep is still terrifying. This has been happening to me for quite some time, its increasing from once a month to 2 times a night. I have done alot of serching which led me astral projection. For me its starts with a tingle and instead of fearing it, i gave in. I know its a form of sleep paralysis, so i gave in and have amazing dreams and wake up very refresh. Give in, the only fear i have is not coming back to the body. But im still here. I've have sleep paralysis and It doesn't feel like it. This sleep gives me a good feeling, as if I'm going into a good sleep and I feel like I'm never going to wake up. As I let go of my tensed body my heart beats really fast as it's trying to wake me back up. I stay awake for about 4 hours before I start feeling tired again. Please advise me on what to do. I hate this feeling. Im not quite sure how to explain it but I just had an episode. Its started when I was going to sleep and it feelt like my soul and breath was leaving my body. It feels like Im slipping away and if I let it happen I might die. I am conscious so shake my head or any part of my body and I pray it takes a minute but I eventually am able to open my eyes again. I am tempted to see how it ends but am scared of not waking and my kids would find me lifeless. I dont want to do that to them. Any ideas? I experience this feeling four or five times. It happens during night or even day sleep. I hate facing this coz Im scared of dying during the experience. My heart beat gets Slower, I can't even open my eyes. Most times I pray in my mind to God for help and udually come out of the feeling. Im really scared of the feeling to overtake me. My instinct tells me that if I do not overcome the feeling I will definitely die so I always try my best to come out. This happened to me a few times recently! The first night no less than 3 times...it's like my brain woke up but my body took a few moments I don't know how long but it felt like if I couldn't wake myself up right then I would die. I was dying. I was so convinced. I was frightened and woke my bf up he was amazing...I've been suffering from anxiety and depression is the icing on the nope-cake. Guys this is some horrible stuff..can't put into words. What can I do? Will a Dr take it seriously and what sleeping meds can stop this? Thought I was dying last night. I cant explain it. It was like I couldn't breath, grasping to try. It almost felt like my heart had stopped beating, and I was on my way out. As a matter of fact, for a few seconds, which felt like forever, I wasn't breathing!!! I could feel my eyes closing slowly as I was trying to breath. I said "this is it, I am dying" It was so scary. Why did this happen? So I have dealt with sleep paralysis for a long time like most of you, and yes it is terrifying. About 8 years ago I had back to back nights where I even hallucinated that something crawled onto my bed and then onto me while I was having paralysis. It still haunts me. Anyway, one thing that helps me is to not sleep on my back. Whenever I wake up with sleep paralysis, I am always on my back, so I try to never fall asleep in this position. Hope this helps. Hey! I am Khushi. I wanted to know about this topic as I started noticing this problem with me many times. I don't what it is! I feel like I am sleeping and something moves me...like I want to wake up but I can't and it's more like I've already woke up inside my body but I can't even move my eyes outside. When I wake up inside, All I do or all I see myself is like I am locked. Someone put a cage around me, I can't even make my hand moving (inside me). I want to just open my eyes for a while so that I can breathe but it is so difficult for me even to open my eyes. May be I can move or I move then, but I don't realize,I really want to know what is the problem with me and how can I control it. Hope someone can help me. I suffered sleep paralysis for months year 2015-2016..
Days in a row, sleep paralysis after sleep paralysis after another one again same night. In the morning I felt so tired coz I was sleep deprived, was afraid to go back to sleep. I would sit up to avoid falling asleep. I could tell when I was having one. It was a weird feeling I can’t explain. I don’t see shadows (thanks God), but I can feel presence of unseen or sometimes (my mind says a dead person was present although I couldn’t see). I tried to scream many times to ask help! no voice! I hear people outside my room, but of course they didn’t hear me.. I tried to gather my strength and sit up, but something was strongly pulling me back (sleep). I fought again, but I can’t get up. My mind says if I let sleep take over I would never be able to wake up again ever! So I always fought to wake myself! It was scary- I felt like dying. First, I read somewhere that sleep paralysis is also caused by lack of oxygen in the brain (lol I didn’t find scientific connection but I was desperate to end my nightmare! I would do anything). I slept on my side & carved in my brain to do a forceful deep breath when sleep paralysis attacks again. So it happened- I kept doing it, forcing my body to do it, until my body actually did one big deep breath! Viola I woke up doing it! Usually it would take me 1-3 tries with all my might. While combining in trying to move the fingers of my feet (whichever works I said to myself). It was the act of taking a deep breath that usually woke me. But it really takes strong will & energy for the body to finally follow. Sometimes a forced twitch of feet fingers can wake me up too.. But I was not content, I learned the technique to wake myself, but what I want was to not experience it anymore. (At all). Someone told me It was due to dehydration. So again here comes the night. Before I slept I drank 1- 2 full glasses of water, I didn’t care if I had to wake up to pee. I just didn’t want to feel like dying again, and EUREKA!!!!!!!! it worked. I woke up once to pee, then I drank a glass or water again to replace water loss.. I had a good sleep.. Since then until now, I am drinking enough fluids during the day, so I will need to drink 1 glass of water only before bedtime.. Sometimes, I feel the urge to pee before falling asleep. That’s fine by me. I will just drink half glass of water again after- to rehydrate myself.. So far I never had sleep paralysis again.. I forgot to mention, the reason I slept on my side is to avoid tongue blocking the airway. When we sleep on our back, our tongue relaxes and may block the airway.. (causing lack of oxygen? And snoring anyways). And mentioned to remember the deep breathing technique just because since muscle was paralyzed, I had a weird feeling that the lack of oxygen was also due to relaxed muscle forgetting to breathe for short period of time, so I thought to force myself and keep in mind to breathe! LoL. Funny as it may sound but it worked for me..
Studies has linked REM with hypoxia- as I said I was desperate to end it so I made a lot of reading, proven or not proven, even hearsay, I would try as long as it’s not harmful. As to dehydration- I didn’t find connection, the only thing I know, due to cold weather, we have heater at home & I felt like heater is absorbing body moisture as well and makes me dehydrated during the night... With dehydration, body will not function properly.. Causes of dehydration (many to mention), If I can prevent it by drinking water, I would. And it worked (in my own experience). I am sharing this because I know how it feels, to feel like dying, feel like you won’t see your family again, to think that my family will just find me on bed lifeless. You can try what I did too.. Hopefully it will work too.. If not, I’m sorry. It may be different in every person..
Doctors say Sleppe Paralysis is not harmful (Just a conflict between REM & NREM), but, I would’nt dare take a chance to try & see what happens if I just let sleep overcome me during sleep paralysis! LoL we only have one precious life to risk with "what ifs"
Who didn’t try to shake themselves? I’m curious what happpened next. Maybe nothing and woke up normally?.. I have exact same situation. I just had one a few minutes ago. What I do to wake up from that state is to shake my feet or ankle. I'm a young teen and I'm pretty spooked about this.. I'll try to ask my parents when they wake up. But yeah that's just what happened when I fell asleep and I think it's sleep paralysis. I experience sleep paralysis on a regular basis--close to 10 years now. I know when I will most likely have an episode and have tried a few techniques. I am writing this after experiencing , for about five times, a newer version of the same thing. Here is a short summary of my 10 years experience (contents of the SP) so far: being "harassed" by a dark figure, being oppressed by a demon or people I know possesed by demon. Even frightening when it is the person I was sleeping next to; who else will wake you up during the attack? Incidentally these occured during years when I was a practicing catholic. Now that I turned to the other side, i.e. a non-believer. Things also took a turn. I guess bye demons and dark figures for now. Welcome "death". For those wondering what it feels like to "let go", here is what I found out. My first experience felt like having a heart attack. It was differebt from regular SP when you feel "paralyzed". It was simply a feeling of your heart giving out followed by your breath giving out. The first time I fought it (by the way during the demon infestation I reached a point when I have become an expert that instead of fighting it I try to sleep over it-try to sleep in your sleep). The second time was more realistic and I really thought that was it. I felt so helpless and just sort of gave up because no matter how I tried fighting it, I never did recover and gave my last "fck it!" and breath my last. Everything faded. Nothingness. Then bam! Wake up the next morning. This time it is different. It felt more real; that I am really dying. I was not afraid like last time or calm previous to that. I am now even angry and afraid that my body would give up on me like that. This time I tried to fight it and though I woke up I was so sure in my bones that I've never been more helpless and that If I did let go, there will be no pain or relief but pure nothingness--infinite nothingness. The nothingess i first experienced seemed like a really good dream. I'd welcome the demons and hollows back in exchange. I'd rather have something to fight in my dying moment but I cannot stand nothingness. So for about 3 months now, I have been experiencing like I am slowly dying in my sleep. I start to notice my breathing slowing down, it slows down so much I can now notice it’s getting to a dangerously low level. As my breathing slows, hearing slowly fades away as well. I can no longer hear and my breathing is so low, I felt my heart stop. At this point I can feel like I’m fading, but I quickly jolt my body and I am able to wake up no problem. Because of this, I now fear sleeping. It honestly scares me a lot. I’ve noticed every time I try to sleep now I inhale and exhale a lot and have to concentrate on my breathing. I have read many comments here, but I definitely don’t have sleep paralysis. The comment here that did catch my attention is the comment which mentioned that they have all these shortness of breath and dying like experiences, which they said his or her doctor diagnosed Chronic Sinusitis. I believe I may have this and is causing these sleepless nights and terrifying experiences. I have noticed high inflammation in my nose Recently, so I hope and pray that this is what I have and that it can be cured. I just turned 20 recently, so I want to do many things with my life before I pass away. Reading everyone’s comment here and stories have brought me relief because I know I’m not the only one. Thank you so much for that! So I saw someone ask how it goes it you try not to shake yourself, here's my story. For more than 15 years,when I was roughly ten, I started getting the paralysis, I couldn't move, I couldn't scream and I could perfectly be aware of everything around me. This led to my panic attacks and anxiety disorders which I hardly got medication. So everytime it happened I used to struggle, try moving and fighting to be awake but that's not something you would want to do for more than 15 years. One day in college, I got the worst of them and I decided, well, if I am to die, then let it happen so I just lay and waited. It was pretty painful and my head began buzzing, my heart was so fast and I couldn't breathe. After some few seconds, I just woke up all sweaty and tired. Since then, I haven't been fighting and I always wake up but it is one of the most terrifying feelings, I would say I've had the experience more than 500 times in my life. It started to happen when as i drifted off to sleep I could move my eyes and hear but was unable to move my body and could feel my heavy heartbeat. My instant reaction is to continually attempt to move my arm until I force my self awake. This would work but I would just fall asleep again and the same would happen again. I found the only two ways of stopping this were to move around for a few minutes or play music while I slept but this was not as affective and I would sometimes re enter the cycle. There was even once a time were i fell asleep while my mother was reading to me and I could hear her so I tried calling out to her but all I that came out was slightly heavier breathing. It terrified me and would happen at any moment. This would keep me up at night and I still don't know what to do about it.